traceable register to ensure nothing gets overlooked. teams with our cloud-based inspection software. cycles to extend the working life of equipment. The complete software inspection solution specifically designed for Lifting and Rigging, to manage and grow your business. 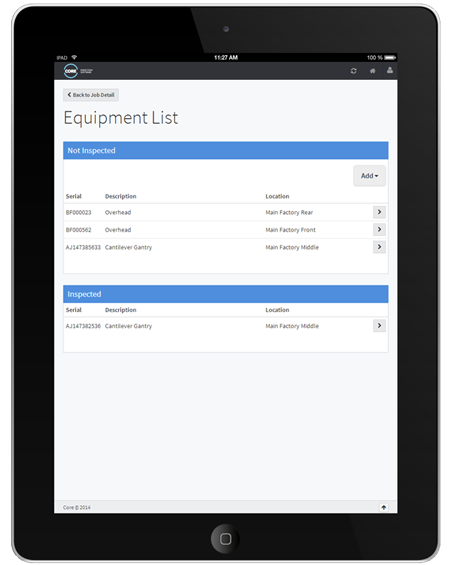 Use our mobile application to quickly perform inspections on your equipment onsite or in the factory. Easily plan, schedule and manage recurring or one off jobs. Access detailed service reports and inspection reports online, anytime, anywhere. Style your reports and online register to match your branding, use any custom URL or domain. Integrate with your other services to provide a seamless billing solution. Ensure you know when your inspections fall due. We work with you to create forms that are tailored to your specific industry standards and internal requirements. 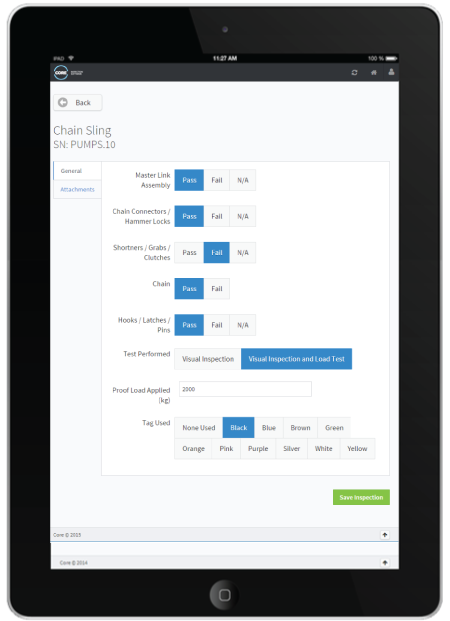 Allow your service team to accurately log their time against jobs, to help track job costs and expedite the invoicing process. 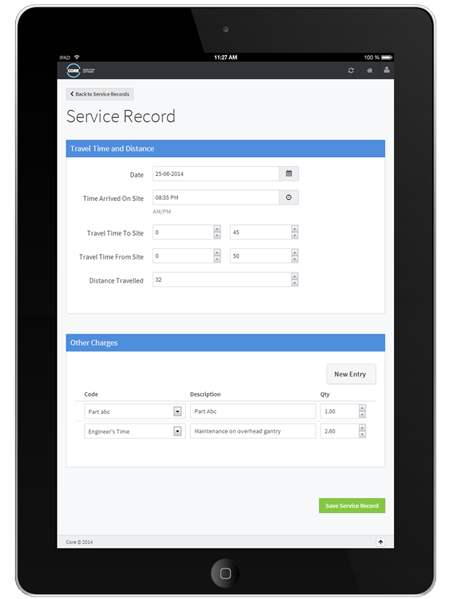 Add fully customisable service charge records. Add additional billing, parts and onsite costs. Configure and send your completed reports and service records via the online register. Provides you with all the information you need, including a snapshot of which equipment requires your immediate attention. 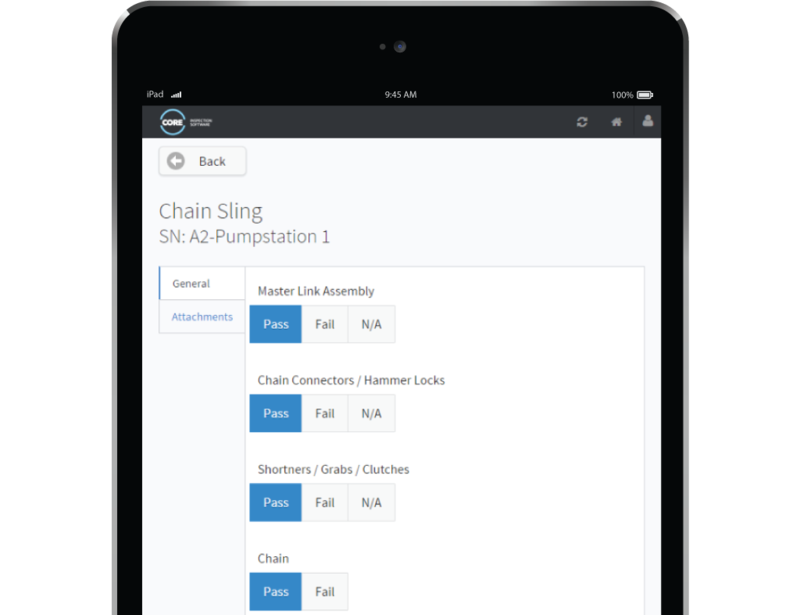 Provide your customers with login capabilities to keep track of their equipment and inspection schedule. Easily search, locate and review historical service and inspection records to meet your compliance obligations.